Mixtapes are so 1980s. 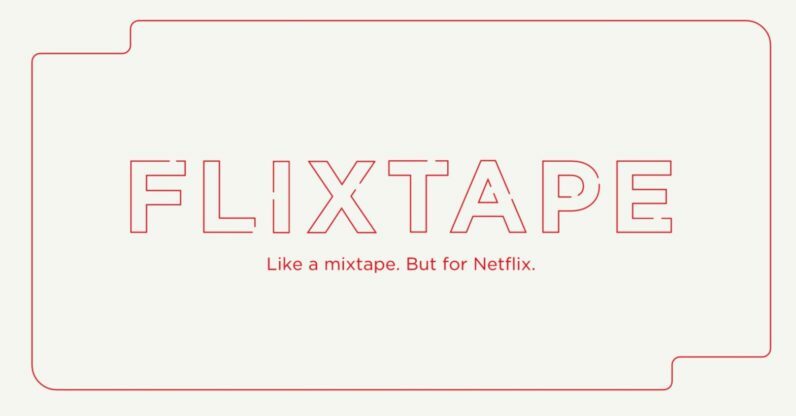 To help you catch up with the 21st century during your next Netflix and chill sesh, the company today introduced a feature called “Flixtape,” which is basically a mixtape for – take a wild guess – Netflix. The company says Flixtapes are meant to be built around themes, moods or a particular message. You have to main options: ‘make your own’ or view the ones ‘made for you’. If you’re feeling creative, first you give your Flixtape a representative name. Then Netflix will analyze your label and suggest three movie or show titles (which you can customize), and you can add your own for up to a total of 6. For example, calling my Flixtape ‘The Pizza Flixtape” pulled ‘Jiro Dreams of Sushi,’ and ‘Chef.’ Not quite pizza-related, but mostly food-themed. Typing in ‘Karate’ gave me a few martial arts films, etc. There’s also an ‘Inspire Me’ option if you’re feeling too lazy to even type a title. Then you can customize the Flixtapes with a few pre-made designs – as well as a name if it’s going to a specific person – and then share it via Facebook, Twitter, email or text. Recipients need to have an active Netflix account though. My main caveat: you can’t choose individual episodes of TV shows, which makes this mainly useful for movies (unless you plan on binging 10 seasons of ‘Friends’ in one go). Meanwhile, the ‘made for you’ suggests a few generic themes and selects titles based on your history. It’s a quick and easy option if you’re looking for something to watch around a particular theme.